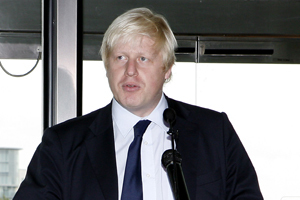 Mayor of London, Boris Johnson, is set to address this year's Visit London Awards. The Awards, now in their fifth year, celebrate London's consumer and business tourism offer, including the arts, culture, attractions, entertainment and accommodation sector. "We are delighted that Boris Johnson will be joining us on our night of nights," said Visit London chief executive James Bidwell. "Tourism is worth £16 billion to our local economy and supports over 250,000 full-time jobs. The Mayor's attendance recognises the vital contribution of our industry and Visit London's role in driving and delivering the economic benefits of tourism." The awards will be held at the Royal Albert Hall on 27 November.